It finally happened, I finally got a saddle that fits my pretty filly! Okay it was during a power outage for all of my regain and me, the boyfriend and the dog were all living in a hotel with AC until our (and hundreds of thousands of others) power was restored. It was also in the middle of a terrible heat wave and my barn was running on generators, so no water (as to reserve the well pump) and no fans for the herd. However the truly awesome people over at Dover decided that they could in fact make the drive from VA to MD for my fitting. (Thanks Melanie you totally rock!) 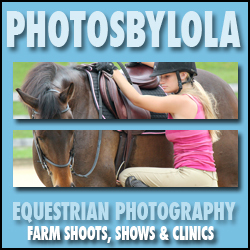 So I met Dover at my barn and tried on three selected choices. A Pessoa and two different Marcel Toulouses’. One a foam flocked combo and one fully flocked. The Pessoa is usually out of my price range and generally the flaps are too far forward for my long legs but this one was on super sale so we gave it a shot cuz ya never know. It fit my girl but when I rode in it it didn’t fit me at all the flaps were to forward and i felt cramped in it. Scratch that one and on to Toulouse number one, Mr fully flocked. It fit my girl really nicely and when I rode in it it fit me too, I was balanced and comfortable. Yay! Saddle three, Toulouse foam flock combo. I thought this saddle looked awesome. from the color of the leather to the styling this is the one I really liked the best looks wise. To my joy it fit my girl but when I rode in it I only needed a handful of steps to know it didn’t fit her in motion and it really didn’t fit me at all. So I picked bachelor number two! 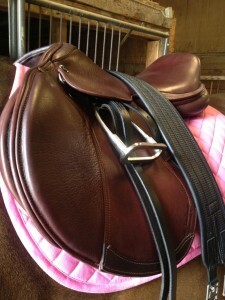 I am now the proud owner of a Marcel Toulouse, fully flocked, beautiful brand new saddle in chocolate brown. Courtesy of my fabulous boyfriend who bought it for me as a birthday gift. Yeah, my birthday was months back that’s how long I’ve been looking for a saddle! 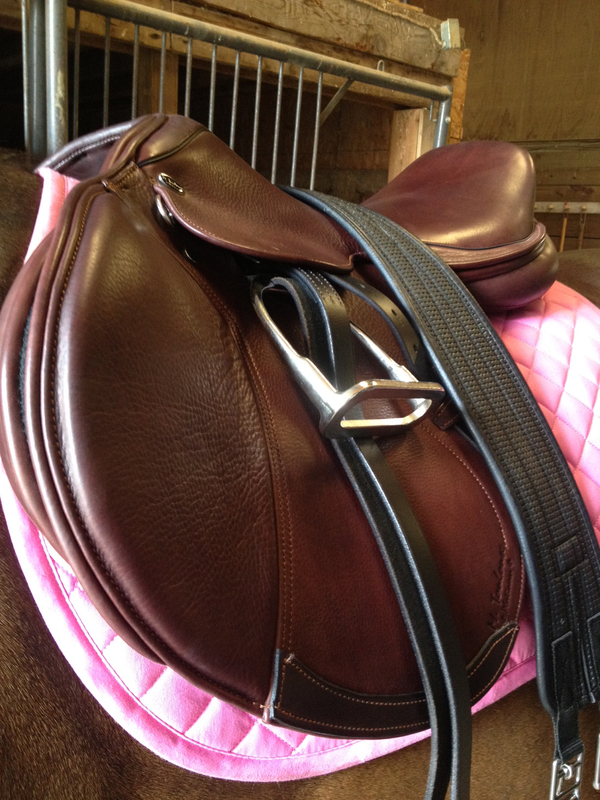 Oh yeah it is chocolate brown, that means I need a whole bunch of new things since all my current tack is black. Doh! so I’m making a list, leathers, girth, bridle, and slowly I will get the all new things i need so I match.When the saddle settles after I’ve ridden in it for a few months I’ll have it custom fit and maybe have the custom pad lady out and see how that goes as well. My girl is only 4 years old, and like most race horses developed more on one side then the other plus shes not exactly in shape yet so her body will be changing so i will mold and adjust this saddle with her as she changes. So happy to cross saddle hunting off my list of things to do!